Fr. Alessandro Gazzola was born in 1955 in Bassano del Grappa, Vicenza, Italy, and is the General Superior of the Missionaries of Saint Charles, Scalabrinians, and the President of the Scalabrini International Migration Network (SIMN). He was ordained as a priest in 1982. He obtained a master’s in Spiritual Theology at the Pontifical Gregorian University in Rome as well as a master’s in Educational Science at the Pontifical Salesian University in Rome. 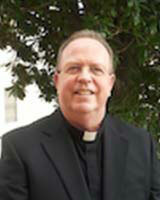 In his years of service to the Congregation, Fr. Alessandro has dedicated himself to supporting formation programs in the Scalabrinian seminaries in Italy. He has also served as Counselor and Vicar of the Scalabrinian Region of Europe-Africa.